Sounds crazy right? 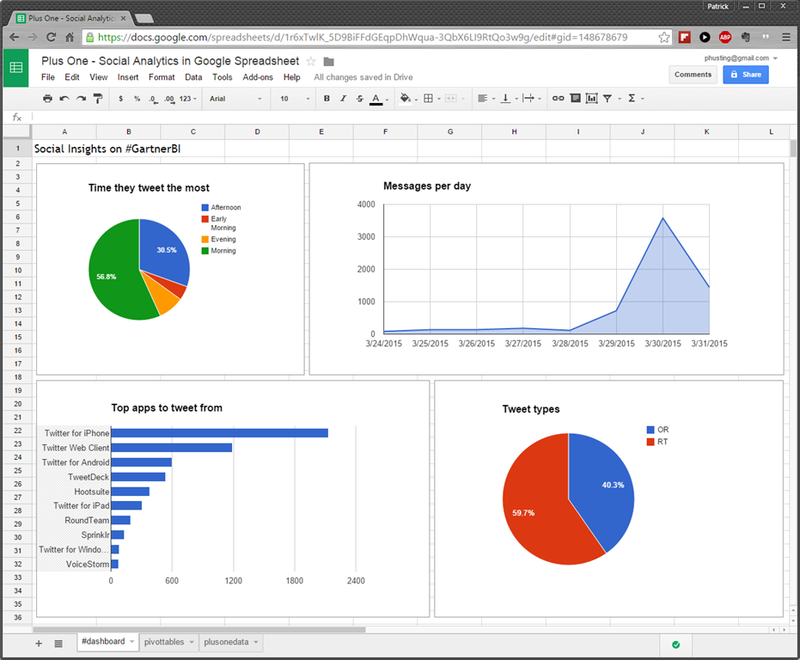 Using Google Apps as your digital marketing dashboard for social analytics. Well, it is totally possible! How did I do it? I started with Plus One to harvest the social data I want to analyze. Plus One allows me to harvest data based on keywords and it stores that data into a Microsoft Access database and then import it to Google Spreadsheets.